Be the first to hear about their new releases and deals. Download the Booksprout app and search for Clair Brett today! 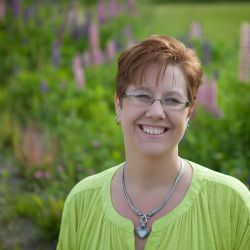 Ex-Dragon keeper and historical romance author of three published novels, Clair Brett lives in NH with her hard working husband. Her office staff during the day consists of Cinta, a black cat and the matriarch of the fur babies, Mojo, a yellow kitten who spends his day holding Clair down in her seat to get her word count in, a boxer/beagle mix named Willow, who sleeps next to her chair to make it hard to do an Oreo run without doing a pee run as well, and our newest member a black lab mix who is on alert duty when anything comes into the neighborhood. As official empty-nesters the fur babies get a little spoiled. A former middle and high school English teacher, Clair has had a lifetime love affair with reading. Once she read Pride and Prejudice as an extra read in high school, she was hooked. Clair began pursuit of publication when she was a new mother in need of a hobby. Her oldest daughter and mama to the bearded dragon grand pet is off to serve in the Air National Guard as a medic and no longer in the nest, so you do the math. Clair is a firm believer that a reader finds a piece of who they are or learns something about the world with every book they read. She wants her readers to be empowered and to have a refreshed belief in the goodness of people and the power of love after reading her work.